Laid back in tranquil Ubud. . . 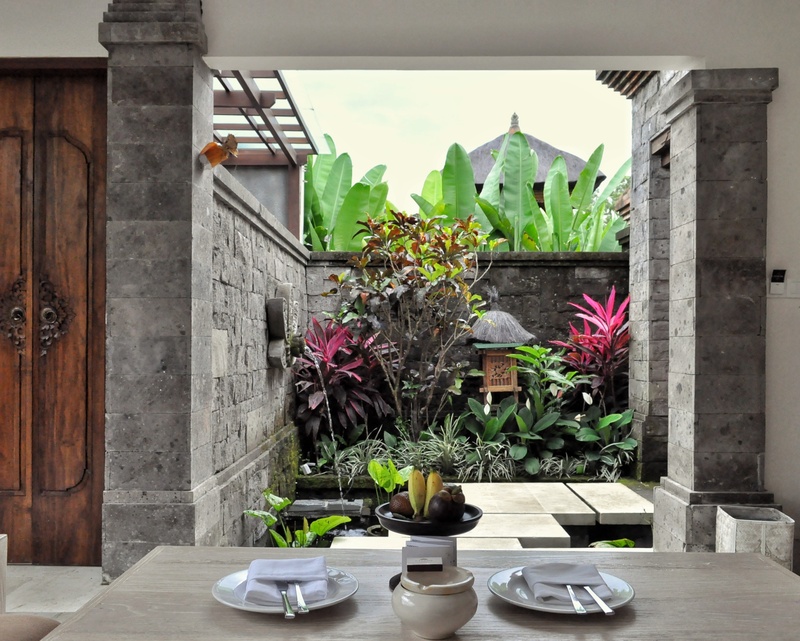 Located not far from the Ubud Centre, Desa Visesa Ubud (book here for special price) is one of the newest properties in this area. Only took about 5 minutes’ drive from the famous Ibu Oka, this property was surrounded with natural landscape. Once I enter the gate, I’m quite surprise with the huge this property was. With lush green surroundings accompanied by the sounds of the nature just feels so calm. We arrived at the lobby and welcomed with traditional Balinese ceremony then continue with the check-in process. 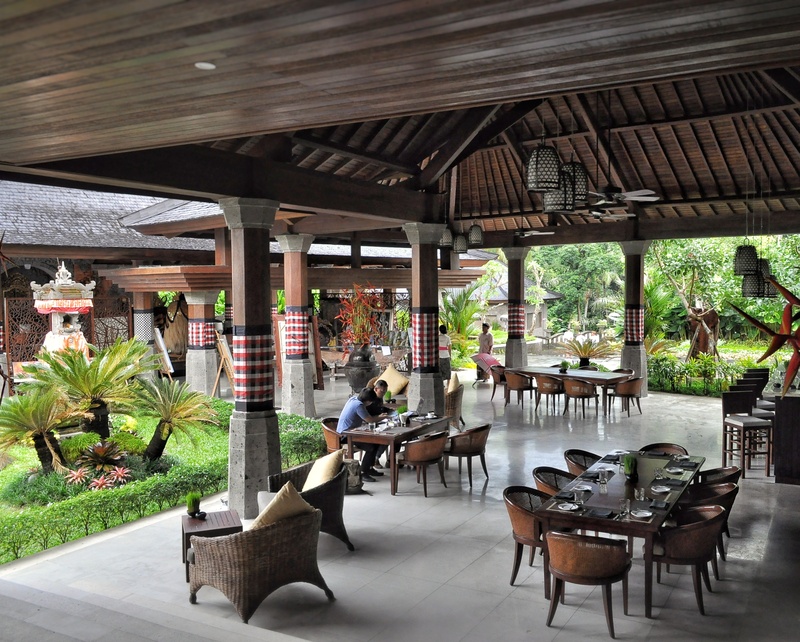 This lobby has a traditional design with carved wooden structure, decorated with paintings and Balinese barong; and overlooking the big pool area. Done with the check-in process a buggy car took us to our suite, on our way to the villa the driver took us for a quick tour to see the whole area first. 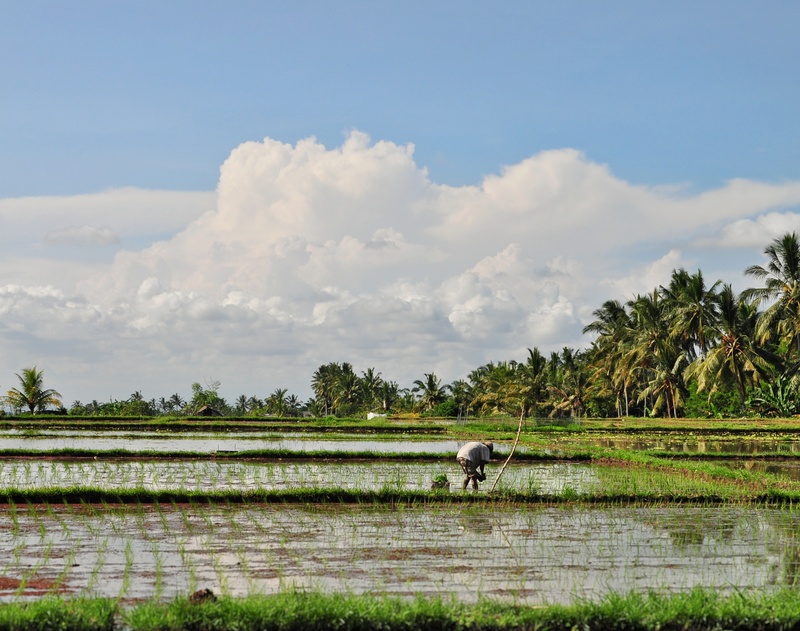 This property was surrounded with rice paddy fields and they also have permaculture farm. 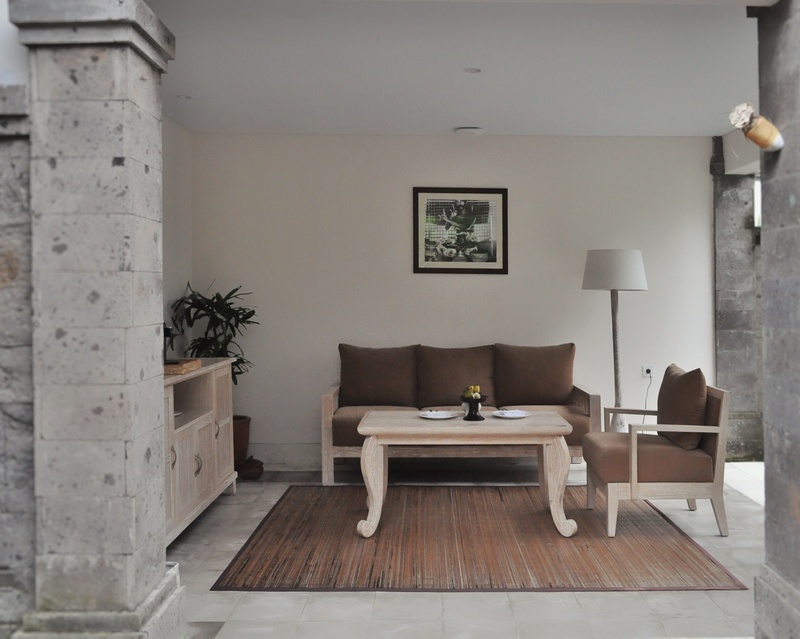 Finally we arrive at the doorsteps of our Visesa Suite; it’s a one bedroom villa with our own private pool and small living room, small fish pond on the entrance really adds the serene ambiance. 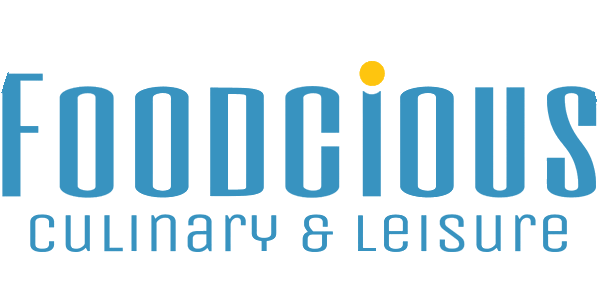 It suits for family traveler with one kid or honeymoon couples, it provides the privacy with complete facilities. The bedroom overlooking the pool with cozy king size bed and huge smart TV, and quite a surprise for me that with their traditional concept they have quite Hi-Tech facilities, their TV were connected to the internet (IPTV) so we can find information about their properties on this interactive TV, we can even check their food menu and order room service using their TV feature. And as for the bathroom itself is quite big it was semi outdoor with small garden at the back; it has bathtub and shower, complete with his and hers vanity, digital scale and complete amenities. And since the surrounding area of this property was a bit secluded, we can really hear the sounds of the nature and not the hustle bustle street noises. Unfortunately when we stay here it was raining most of the afternoon, so we cannot explore the whole property. But when the morning comes, we head for breakfast at their Lesung restaurant & bar. They serve international breakfast menu buffet such as baked goods, eggs, bacon, sausages, pancakes & waffles, cold cuts, fresh fruit salad, hot meals with pass around fresh juices, champagne and many more. 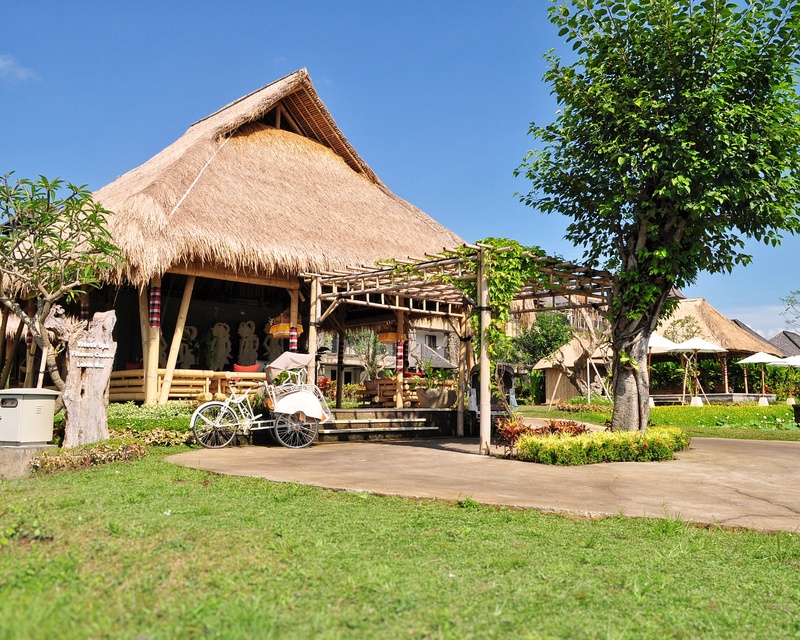 This restaurant were located near the lobby next to their main pool, and surrounded with rice paddy fields. In the morning while we’re enjoying our breakfast we can watch the farmer traditionally plowing the fields using cows, with some ducks running around and rooster’s crows in the background. After breakfast since the sky is clear we can took a stroll around the “village”, they have open air gym and kids club with some traditional wooden toys and activities (I love the no-gadget concept), my son really love playing at their kids club, he did some paintings there :). They also provide bicycles if you want to took a ride around their property.